Helping women and girls to live in a home, community, and nation that respects gender equality. Atu ajuda feto sira nebee hela iha uma, komunidade no nasaun sira nebee respeita ba igualdade jéneru. LATEST PRESS RELEASE: CONCERNS RAISED ABOUT ALTERATIONS TO NATIONAL PRESCHOOL AND PRIMARY SCHOOL CURRICULUM. Preokupasaun kona-ba alterasaun sira ba Kurríkulu Nasionál Pre-eskolár no Ensinu Báziku. FOKUPERS carries out women's rights campaigns across areas of health, law, economics, and politics. FOKUPERS halo kampana direitu feto nian iha area saude, lei, ekonomia, no politika. Victim assistance programs such as shelters, trauma healing, and legal support are key programs at FOKUPERS. Programa asistensia vitima hanesan uma mahon, trauma kura no apoiu legal sira programa iha FOKUPERS. FOKUPERS provides a range of training covering human rights, gender-based violence, reproductive health, women's leadership, and more. FOKUPERS fornese lubuk ida kona ba formasaun kona ba direitus umanus, violensia nebee bazeia ba jeneru, saude reprodutiva, lideransa feto sira nia, no seluk tan. FOKUPERS runs a children's house where children are taught how to live as examples of peace in the home and community. FOKUPERS iha knua ba labarik, nudar fatin nebee labarik sira apprende moris nudar ezemplu kona-ba dame iha uma laran ka iha komunidade. 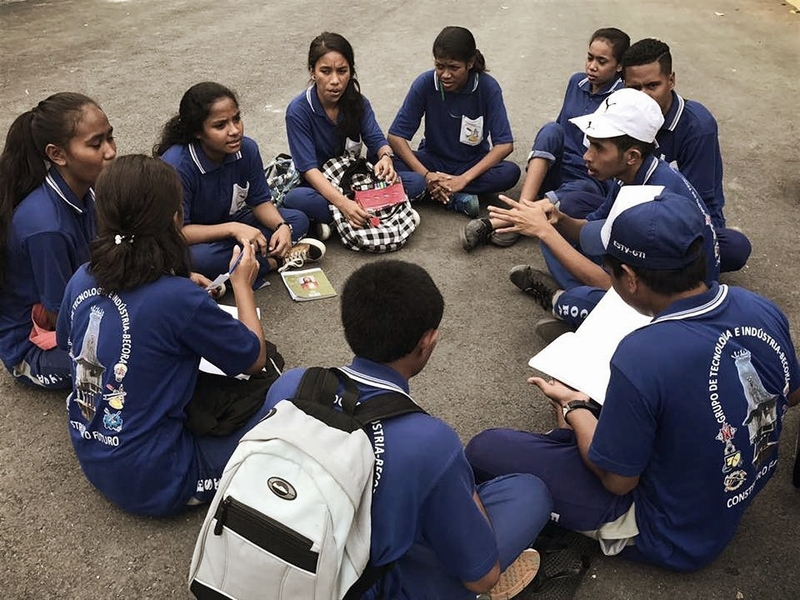 Meet the Female Activists Working for Women's Rights in Rural Timor-Leste. Hasoru feto maluk feminist sira iha Municipiu nebe’e fo sira nia atensaun no apoiu hodi rezolve obstaklu oin-oin nebe’e feto maluk sira enfrenta iha area rurais. 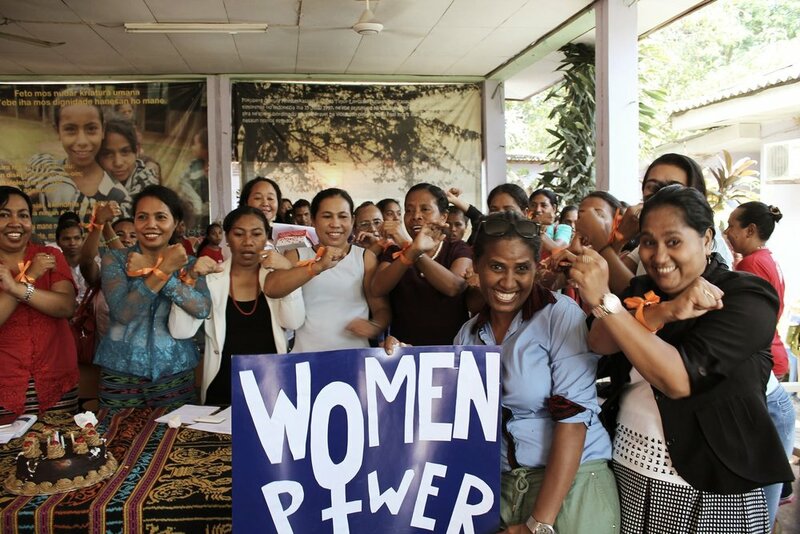 There is an abundance of women's community NGOs in Timor-Leste, all ready to help. Ne'e buat ida kona-ba komunidade ONG feto sira iha Timor-Leste, hotu-hotu prontu atu ajuda.